In the afternoon on 13th March 2015, many people gathered in circles in the north of Federation Square in Melbourne. When everyone came out with their freshly-shaven head, the Chinese around them gave them hugs and cheers, Westerners also give them a warm round of applause. Applause and cheers also drew more passer-byers to stop and watch. Why are these Chinese attracted to so much commotion? 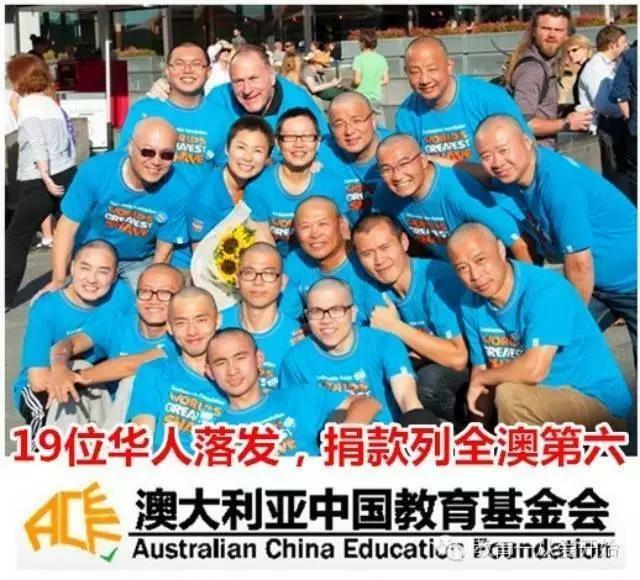 It turned out that they were part of the Australian Chinese and their relatives who participated collectively in World’s Greatest Shave, the world’s greatest shaving event organized by the Australian Leukemia Foundation. The “Shaving Campaign” attracted participation of many Chinese, who were doing their utmost to pass on love. By the end of shaving campaign on 13th March at 5pm, statistics have shown that we raised $40,614 Australian dollars for the Leukemia Foundation. 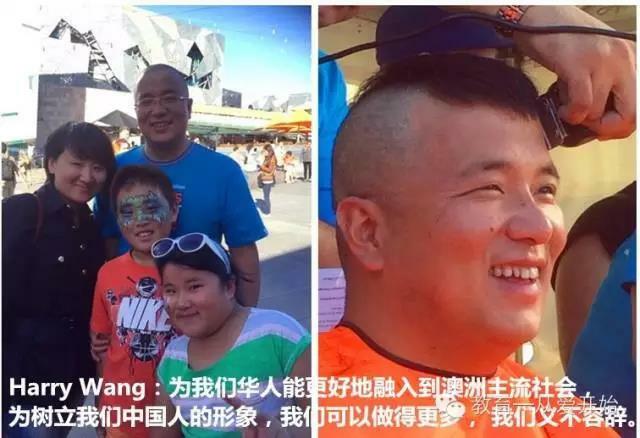 19 Chinese fulfill their promises to shave their head for fundraising. On the official website of the Leukemia Foundation, the Chinese team ranked the sixth largest donation. This event demonstrated the strong charitable spirit among the Chinese community, and the positive inclusion of Chinese migrants in the mainstream society of Australia. 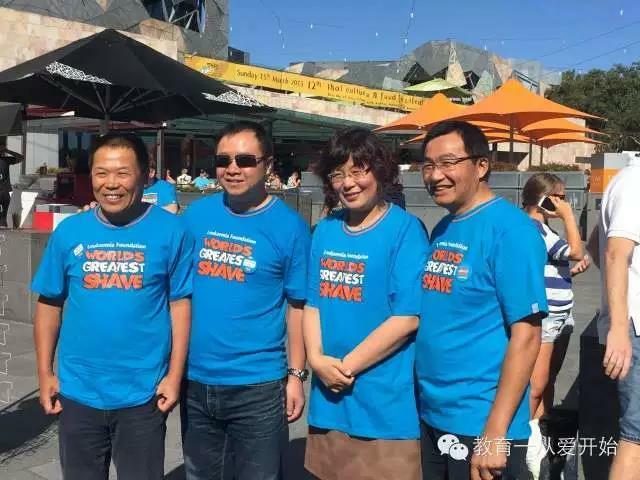 The World’s Greatest Shave 2015 official website, showing the end result of the Chinese team’s fundraising effort. This event was part of the March charity drive organized by Mr. Chen Yin, President of the FCG Property Group, who is also vice president of Australian China Education Foundation. On hearing of his initiative, ACEF’s Executive Committee decided to take part in the event. 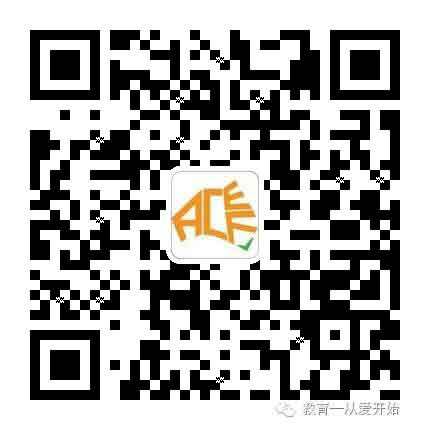 ACEF rallied more Chinese through its networks to participate in this event. 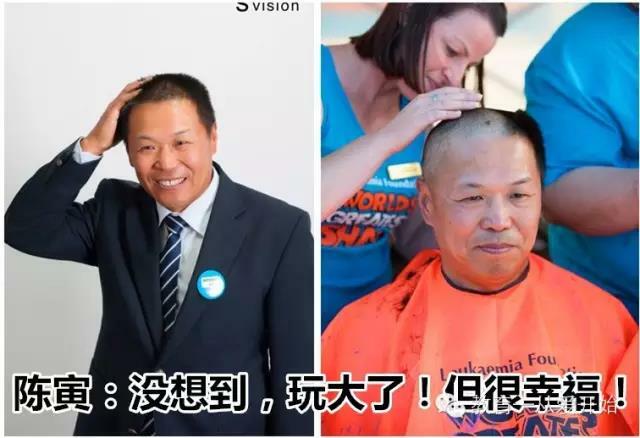 President Nie Taojin, vice president Karen Wang, Wang Yongfu participated in the event, Simon Cee, husband of Karen Wang, was among the first few to have his head shaved. The event’s original target was set at $5,000. 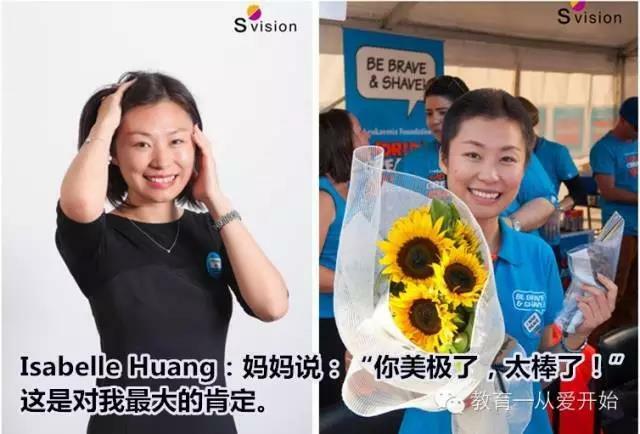 Ms Isabelle Huang, General Manager of Fucheng Property Group challenged the team that she would shave her hair if the target was met. As the news spread around the community, more Chinese joined in. Acer founder, financial talent Harry Wang raised $22,500 alone as many people responded to his initiative to join the event, including a single donation of $5000 made by Richard Gu, President of Xiangfu Group. 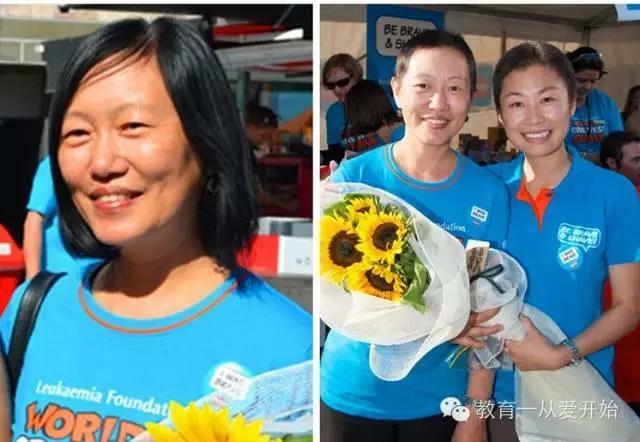 When the donation exceeded $30,000, Mr. Chen yin’s wife, Mrs. Li Boya, courageously shaved her hair. Many other donors donated twice to the event, like Mr. Wang Yuqing, who first donated $500, followed by additional $600. David Jiang donated $1000 first and $2000 the second time. the youngest donors were Harry Wang’s two children who each donated their own $20 from their Chinese New Year’s red-packet money. Interestingly, the last participant, Kim Yan, through her photo registration, accidentally reunited with her old friend Zhang Dongfeng, another participant, whom she has not made any contact for the last 25 years. Chen Yin: I didn’t realize something like that. The support has been beyond my expectation. I’m very happy. Isabelle Huang: my mum said: you are gorgeous. It’s amazing! This is a great appreciation to me! Huang Baozhong: I am thankful for every Chinese friend who shaved their heads for love. It is a small token of our love for people in Australia as our second hometown. integrate into the Australian mainstream society and establish a positive image for our Chinese migrants. 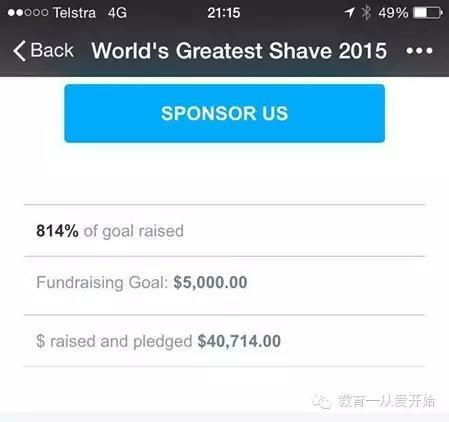 Li Boya: At the beginning, I agreed that when the target reached $50,000, I would shave my hair. Some young people from my company persuaded me to shave my hair once the target reached $30,000. Overnight, the donation jumped from $23,000 to $36,000 and I shaved my hair. I was deeply touched by those young people working with me.